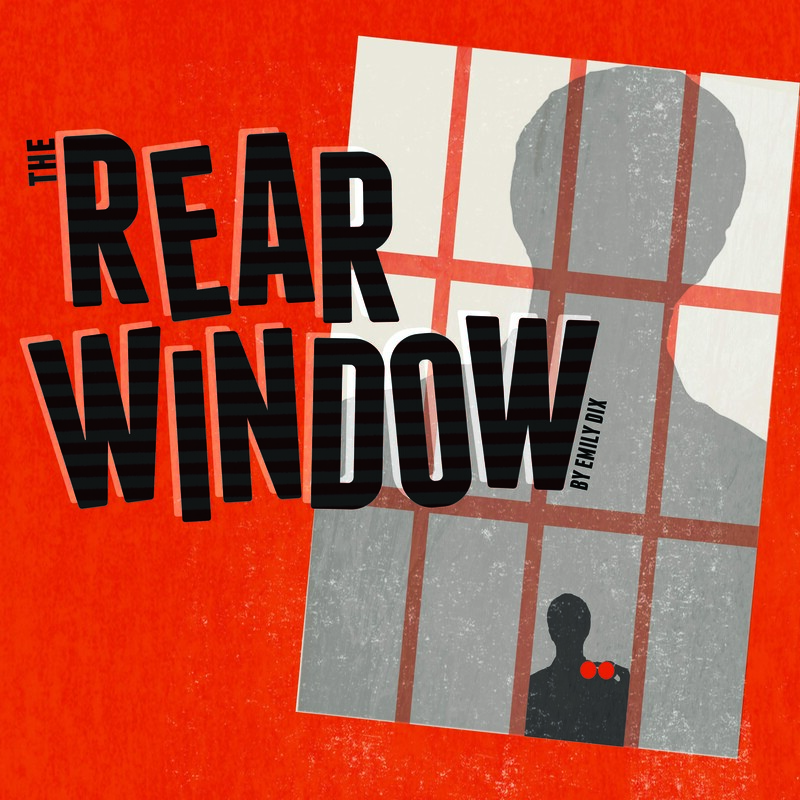 Bygone Co-Founder/Producer Matt McGrath is stepping onstage for this production, performing the role of the young and innocent Kenneth Raglan. We asked Matthew about some of the challenges he is facing taking on roles on and off stage. 1. What first attracted you to Bygone Theatre and this production of Rope? I have wanted to be a part of this show for years. It has always been one of my favourite Hitchcock films. When I learned it was also a play, I knew I had to put it on. 2. What challenges have you faced working on a site-specific play that runs in real time? As a producer the main challenge has always been raising funds, and getting people to care about the show as much as you do, so they’ll want to come see it. As an actor, for this show specifically, it is trying to stay interesting on stage during large chunks where you say nothing, but to not be distracting either. It’s harder than it looks! 3. What have you done to prepare for your role? Watched tons of downton abbey and Boardwalk empire. 4. What has been your favourite part of the rehearsal process so far? Watching the dynamic between the three leading men evolve. 5. Why should everyone come and see Rope? To see a Canadian twist on a classic show. There are top notch performances, and the venue is beautiful and one of a kind! You can see Matt onstage November 21-29th at the Gibson House Museum. To buy tickets to Rope check out TO Tix. 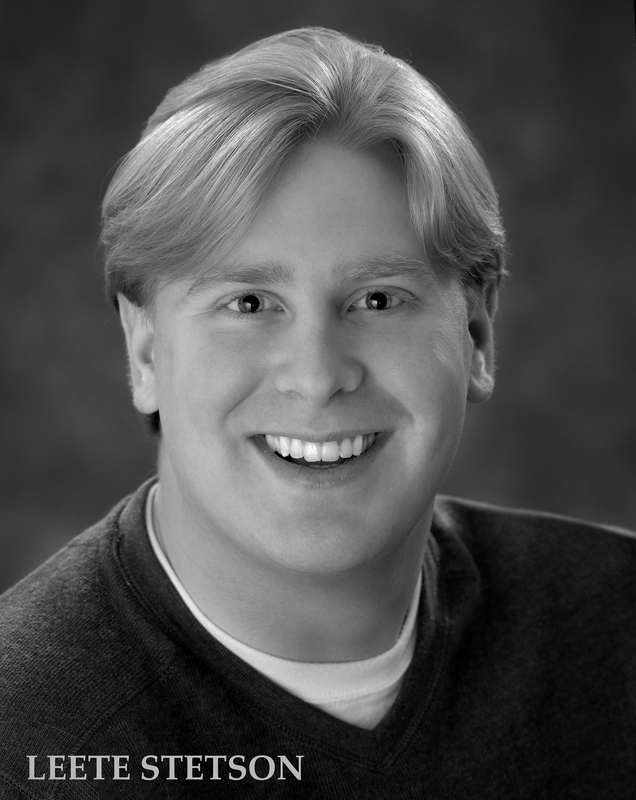 Leete Stetson has worked on every Bygone show to date; he was music director and part of the choir in Doubt: A Parable, played Tony Wendice in Dial M For Murder and has performed in each of the Retro Radio Hour shows. Leete joins us again as the sinister Brandon Wyndham in Rope. The lovely and talented Emily Dix. To date, I think I’ve been involved in just about everything Bygone Theatre has done. Emily and I have many interests in common, one of which is Alfred Hitchcock who did a film adaptation of this play. 2. What challenges have you faced/OR/ what is your favourite part of working on a site-specific play that runs in real time? My favorite part of working on play that runs in real time is that you don’t have to make up what happens to the character in between scenes. The biggest challenge of working on a play that runs in real time is that you don’t get to make up what happens to the character in between scenes. I’ve sat in the dark late at night and had deep conversations with the air about death and the futility of existence. Then, I’ve turned on the lights and read the script until I could say almost all of my lines in the right order. I like the parts where I’m waxing philosophic with Rupert/Jamieson Child. He’s a good listener. 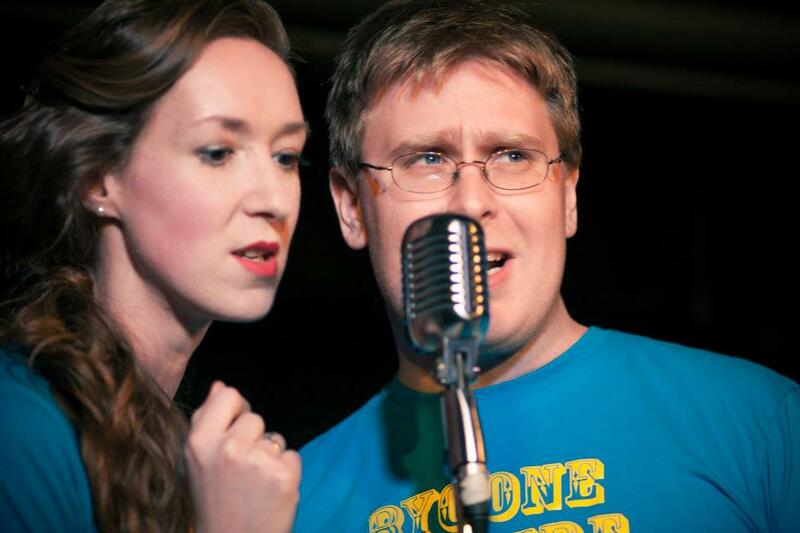 My second favourite part of the rehearsal process is yelling at Emily when I disagree with her. Want to see more of Leete? Get your tickets to Rope through TO Tix. It’s that time again! Time for our Cast and Crew spotlights for Rope. First up, Bygone Artistic Director/Producer and director of the show, Emily Dix. 1.What first attracted you to Rope? I’ve been a Hitchcock fan since I was a kid. Growing up I had some darker interests and was always drawn to mystery and horror; my parents, worried I’d see too much gore too young, steered me towards the classics. As an adult I studied film at UofT, and the more that I watched Rope the more I was drawn to the story. One day, while watching the film with my co-founder Matt McGrath, I noticed a note in the opening credits; based on the play by Patrick Hamilton. I was thrilled. We looked up the play, found that, despite some differences, it was still amazing, and it’s been on my radar and to-do list since then. That was back in 2011. A lot of the same issues that I had when we did Doubt back in January 2013; plays are written (generally) to be on a stage and to have SFX like lighting and sound. I wasn’t too concerned with this initially because I thought, well, real-time should look like real-life, what’s the issue? But being in a museum we do have a lot of limitations and things to consider. Also, ending a play that has a dramatic finish when you can’t simply “go to black” is a challenge. But we manage alright. As Artistic Director/Producer, preparing for my role basically means preparing the entire show. Over a year ago I started some basic design ideas and looked for venues. Once we had a venue and dates set, I finalized costume designs and started working on raising funds and casting the show. Now I’ve got rehearsals where I do all the basic directing stuff, I spend evenings doing admin things like balancing budgets and filling out the ticket selling paperwork, and then of course there is the marketing. A lot of time is spent on the computer. I spend hours daily updating social media, writing to the cast, contacting other companies to cross-promote, completing props lists, updating online event listings; no one task is particularly difficult but there is a LOT to do. I love my cast. I say this every time, but it really is true. I think the best thing that I ever do for one of my shows is cast a group of amazing people; I’ve done it before and it’s happened again. Everyone is so unbelievably talented and they’re a really fun group. Despite working on a heavy play with some dark and very serious concepts, rehearsals are always fun and everyone is getting along. I always look forward to going to them and I never want them to end. It’s a great group. Aside from all the usual things – amazing cast, beautiful costumes, and a phenomenal script – you should come and see Rope because it really is different from anything else you’re going to see in the city. The venue is unique and perfectly suited to the show. The play is not one that is done very often, so chances are no one else has seen it performed live (plus, we’ve made some changes as it is now public domain). Rope is unique because it addresses issues of morality, murder and equality without forcing them down your throat; it’s never preachy, it doesn’t talk at you about these things, it simply lets the audience in on a dialogue about it. Sitting right there amidst the party guests the audience is invited to join the conversation and make up their own minds, question themselves on what they would do if they were in that position. I think it’s a neat concept. Rope run November 21-29th, 2014 at the Gibson House Museum. Tickets are $20 and can be purchased through TO Tix. Seating is extremely limited, to ordering in advance is encouraged. For more show information check us out on facebook or twitter, or see our website. Leete has been involved in every one of Bygone’s productions so far, and we hope to keep seeing a lot of him. Most recently he starred in “Dial M For Murder” as Tony Wendice. Leete is also working with AD Emily Dix through his company Theatre Double Take, run by himself and Grace Smith. What made you want to be a part of Bygone Theatre’s “Retro Radio Hour: Holiday Special”? What is your favourite holiday movie? Mom and Mr. Gailey buying a house with a swing in the back yard. What is your most awkward holiday memory? Getting my tongue stuck to a lamp post. What are you most excited for in regards to “Retro Radio Hour”? Matt carving the roast beast. Don’t miss Leete’s hilarious antics! Come see him and all the gang on Saturday November 30th; check the event page for details. What is your role with the UC Follies and “Julius Caesar”? I’m working as the artistic director of UC Follies this year and I’m directing Julius Caesar. Give us the UC Follies history – how and why did it get started? The UC Follies is University College’s student-driven theatre troupe, entertaining University of Toronto’s St. George campus community for over 100 years with one simple goal: to provide an inclusive space for students to bring their talents outside of the classroom, and onto the stage. The UC Follies began its summer season in 2011 to provide opportunities for students who wanted to participate during the summer. One of Shakespeare’s most well-known plays, The Tragedy of Julius Caesar tells the story surrounding Caesar’s rise and fall. Taking modern ideas and applying them to the classic story, UCFollies is proud to present a dark re-telling of the beloved story of Julius Caesar. What has been your favourite part of working on “Julius Caesar”? My favourite part of this process has been working with such a talented and committed team. I’ve been working on this play for over a year as an abstract concept inside my head. But to have a cast and creative team who is able to take my ideas and run with them is truly rewarding. Any fun rehearsal/performance stories or anecdotes you’d like to share? We had a part in the play that involved a play parachute that we had to eventually cut out, but one rehearsal during our break, like children on a playground, we played the parachute games and all hid under the (not very large) parachute. It was a fun return to childhood. Where and when can everyone see the show? 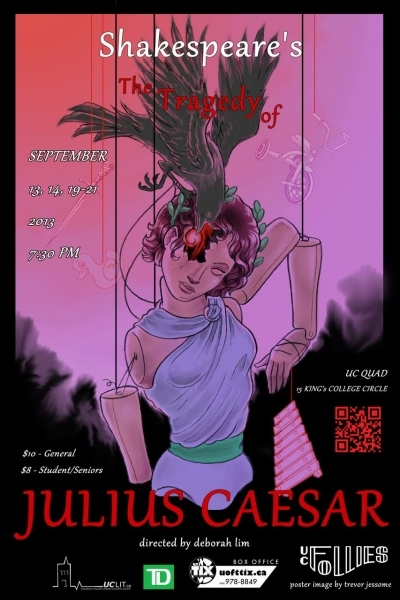 The Tragedy of Julius Caesar runs September 13, 14, 19-21 at 7:30pm in the UC Quad (15 King’s College Circle; centre of the building, west entrance). Tickets are $10 general, $8 students/seniors. One of the most valuable friends a theatre company can have is a good photographer! So much time, money, and effort goes into a show, but by it’s nature theatre’s fleeting; every performance is different, and can never be perfectly recreated. And when the run is over, all that is left are some photos to keep the memory alive, which is why we’re so happy to have the talented Danielle Son working with us once again so that our show can be preserved and remembered! You can check out all her “Dial M for Murder” rehearsal stills here on our facebook page. And be sure to check out her website for some of her other work! Leete is starring in “Dial M For Murder” as the deviously charming Tony Wendice. Leete has previously worked with Bygone Theatre, both as the music director for “Doubt: A Parable”, and as a performer in their “Retro Radio Hour” fundraiser. Bio: Leete Stetson is an alum of the Victoria Conservatory of Music and Dalhousie University, graduating in 2009 with a BA with combined honours in music and theatre. 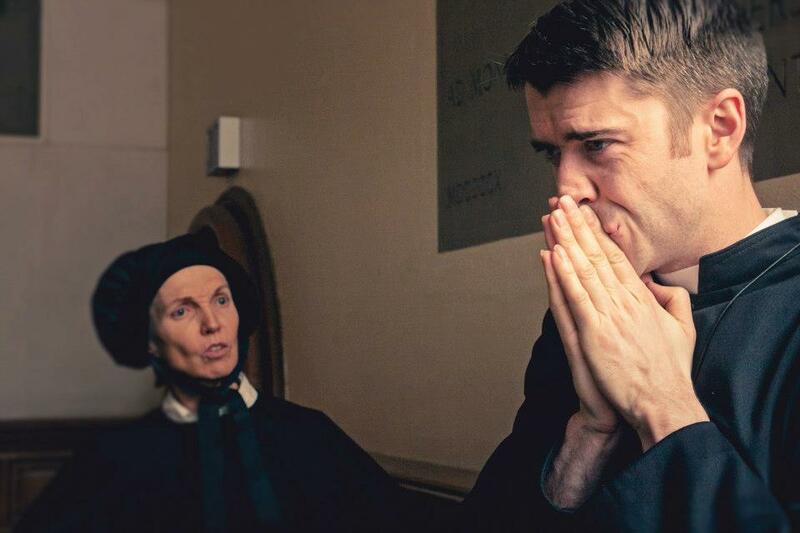 In Toronto, he has worked with Hart House, Alumae Theatre, Charcoal Sketch Productions, Cilantro Dream Theatre and Bygone Theatre, though this is his first time acting in a Bygone show. 1. How did you get started in theatre? I started acting in highschool, more as a lark than anything, to complement my training as a singer. Throughout highschool, I found more and more that I liked it and wanted to pursue it as a career. 2. What is your favorite part of the rehearsal process? Rehearsing. Delving into the script and finding connections with the other actors. 3. What are some challenges you face as an actor? The fact that I’m just not that talented. 4. Any advice you want to give to others pursuing acting? Anything anybody is willing to teach you, learn that. 5. What are you most excited for in regards to “Dial M for Murder”? It’s an incredibly fun and funny group of people that I look forward to getting to know better. And also the material is a lot of fun, and I’m excited about finding all those little moments that can be enhanced with looks, gestures and unexpected profanity.